The Wonderful World of Apps! Not only was the word ‘App’ listed as the Word of The Year by the American Dialect Society in 2010 (Wikipedia), but it has created a revolution among smart phone users! To begin with an app on a smartphone was originally used for advancing productivity and information retrieval like calendar and emails (Wikipedia). 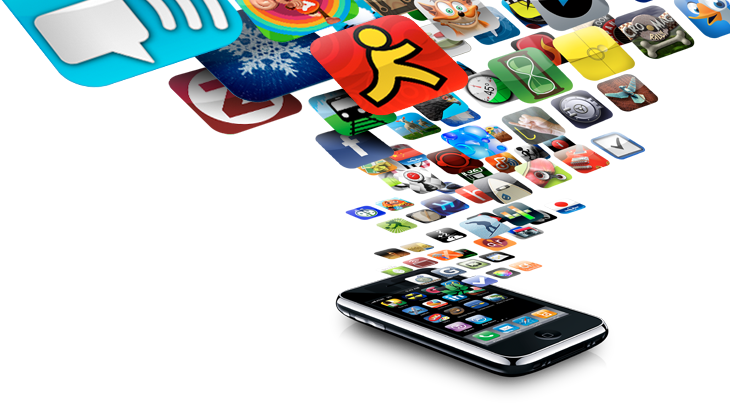 However with the right set of tools and a creative mindset, people have created App’s for games and other various fun activities. This idea of taking the original concept of an App and making it into something that we can utilise in our every day life has defiantly changed the contemporary mediascape. Anyone with a smartphone and the right set of Apps, can quickly get their information out to the world. It’s as simple as taking a photo on Instagram, updating a status on Facebook or Tweeting on Twitter. By using these Apps, people can quickly access their social media and even faster upload information. Now social media Apps are a tool on a smart phone, however these apps have lead to many amazing things happen like American forces raid on Osama Bin Laden, Whitney Houston’s death and the airplane crash on the Hudson River. These events are just some of the many stories that citizens have broken first on Twitter. This may not of been done with an App however it is important to note that there are Apps available. And because of how available they are (often free), many more people around the world are taking the media landscape and shaping it into what they desire. It’s not just smart phone users who are embracing the wonderful world of Apps, it is also businesses. Business like eBay, Hoyts and news stations are trying to give you the best possible service, through the easiest way. Not only are they achieving this but they are also communicating to the ‘modern man’ as majority of people have smart phones and are obsessed with Apps. This is a genius way to promote your business or even reach out to a wider audience.